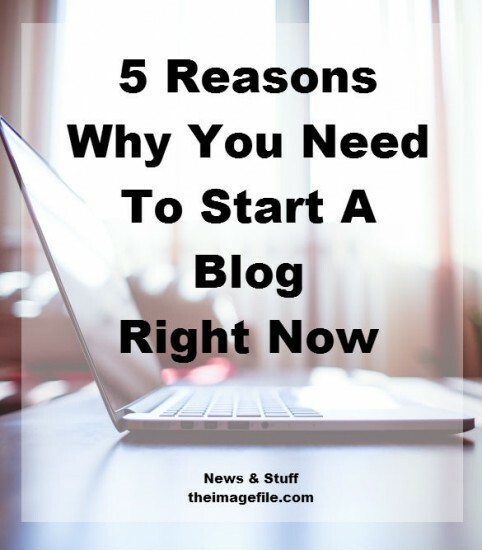 5 Reasons You Need To Start A Blog Right Now! I know I talk about blogging a lot and maybe I’m a little biased, but I truly believe that blogging is now an area of business that is too good to miss out on. Did you know that over 60% of businesses now have a blog and there are over 329 million blog subscribers worldwide. Does that sound like something you should be ignoring? I don’t think so. If you’re still not convinced, here are five reasons why you need to start a blog right now! It would be nice to believe that if you are working within an industry then you are passionate about it and would be more than happy to blog about it. Though I know that this isn’t always the case, blogging about your industry does give you a number of advantages. It establishes you as an expert in your field. If you want people to hire you as their wedding photographer or to book a portrait session then writing about your newly purchased car is a little irrelevant. Sure you might enjoy writing about it and it might endear you to a number of petrol-head enthusiasts but it doesn’t show that you know what you’re doing or have any authority over photography. Writing about your industry gives people trust in your business and also provides a great resource for them if they need help, advice or inspiration further down the road. One of the most inspiring aspects of blogging is building a community of like-minded people. Whether you have hundreds of readers or only a handful, interacting with them and others in your industry is one of the best ways of boosting your online presence. It is also a great way of connecting with other influencers in your niche. Writing about the same industry is a wonderful connector which could potentially help you professionally. There is only so much information that you can put on your website and you can only update this information so often. Once you’ve put up your location, your hours, news and portfolio your website can become a little static. Search engines don’t like static activity. Without giving you too much geek speak search engines love three things; current, changing content (which is easy to provide on a blog), lots of link backs (which happens on a blog) and when people interact with your site (like comments on a blog do). A blog is the perfect way of making sure your site is always being updated and showing up in search engine results. In the same way that blogging can help improve your search engine ranking, it can also help boost your social network following and presence. Let’s be honest – we’re all pretty selfish when it comes to the Internet. If something isn’t directly benefiting us we will skip it, delete it or unsubscribe from it. If all your Facebook page is saying is where you’re located and your contact details, chances are people will move along to something more thrilling. However, by writing useful and interesting blog content and having it automatically post to your social media networks you are giving people a reason to follow you. This is really useful when it comes time for you to promote a new product or sale as you have more followers to pitch to. Blogging is a great creative outlet. You might think this isn’t important when you work in a creative industry like photography. However, in my experience creative entrepreneurs normally spend a lot of time in their heads thinking about past projects, current projects, new ideas and new designs. Typing all of those things up can help you keep on top of everything and be quite therapeutic, by having everything down on paper rather than things constantly running around your head. Why do you blog? What benefits have your found from blogging? Thank you for the interesting article, I had a blog connected to my site for years but have only in the last few months really started to utilise it. Have been meaning to start using my blog. How does this sit with a seasonal newsletter I send to my database via mailchimp? Should it replace it? And how would people know I’ve just updated my blog other than posting it on social media? Thanks! Thank you for your comment and questions. Personally, I see no reason why your blog should replace the seasonal newsletter you already send to your database. In regards to your second question I think that the best way of sharing news from your blog is via email and social media. If you update your blog regularly then it can be a great source of high-quality content that can then be shared with your audience. However if you are posting on a regular basis then I would suggest sending more regular newsletters, rather than a giant one at the end of the season, as this will break the news down into more manageable chunks and therefore is more likely to be read. Equally, you can always set up a “subscribe” box on your blog so that any visitor that comes across your work can subscribe to your newsletters (therefore growing your email list all the time). I know you can do this through MailChimp but you may have to search for the WordPress widget on their website. Finally, if you do wish to post your blog posts on to social media then there are many WordPress widgets that will do this for you automatically. I would highly recommend the NextScripts: Social Networks Auto Poster widget as it is very easy to use and allows you to automatically post to Facebook, Twitter and Google+ (as well as other social platforms), all by hitting “publish”. However if you prefer to do this more manually, there are lots of programmes that will schedule social media for you including Hootsuite, Buffer and CoSchedule. I hope this helps and if you have any other questions, let me know!